Starving Herero survivors returning from the Sandveld after von Trotha's extermination order was lifted: National Archive, Namibia. The New York-based American Museum of Natural History that holding skeletal remains collected by a German racialist scientists who studied the Herero and Namaqua peoples of Namibia. Those remains discovered in New York will be included in the federal class action to provide strong alibi on behalf of the Herero's and Nama people. The lawsuit will be represented by New York attorney Kenneth McCallion. Ovaherero and Nama leaders and representatives from Namibia will also get opportunity to view the remains at the museum on 13 Oct 207, the same date which the next court scheduled and the hearing adjudicated before Judge Laura Taylor Swain in a federal court in downtown Manhattan. This information was relayed by Association of the Ovaherero/Ovambanderu Genocide in the USA which is a non-profit, non-partisan organization, but only dedicated to promote awareness and affirmation of the 1904-1908 genocide and it seeking resolution of the Ovaherero-Namas' demands for restitution from Germany. Dr. Kenneth McCallion, a plaintiff Lawyer explains German Genocide Reconstitution. The second court hearing for a reparations suit against Germany for colonial-era genocide, was originally set for July 21, and it has been postponed until 13 October. Kenneth requested an adjournment of the July when Germany refused to accept their summons, which formally verdicted to German government for 1904-1908 Namibian genocide.Though a pre-trial conference was held in New York on March 16. The plaintiffs filed a class action lawsuit with a U.S. federal court in New York under the Alien Tort Statute, a law dating back to 1789 that is often invoked in human rights cases. 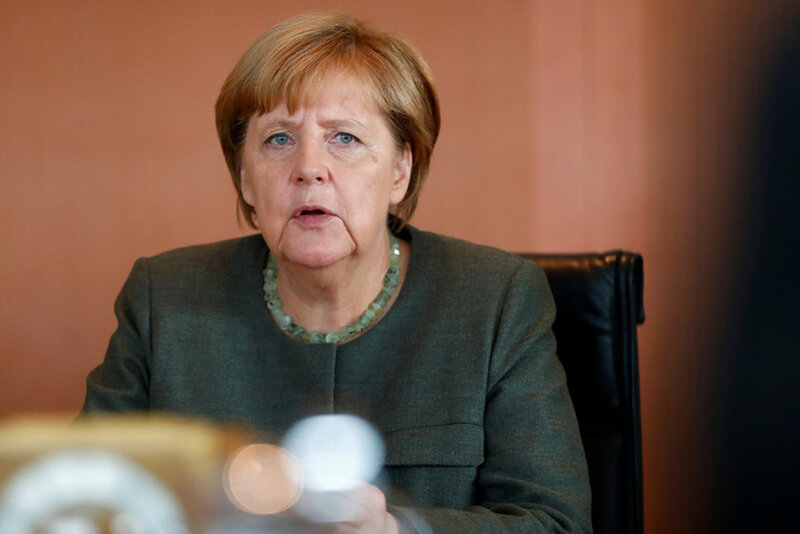 In April, plaintiffs served the defendant in Berlin via the Hague Service Convention, the method typically employed in serving judicial documents to a foreign government. The Hague Service Convention is a treaty serve dozens of countries and allowing judicial documents to be processed form one state to another without the use of diplomatic channels. In another summon Germany refused to acknowledge their complaint. Germany holds that, as the plaintiffs’ damages and claims was suppose to be served through Germany’s sovereign actions, they have no basis under the Hague Convention, which is grounded in the service abroad of judicial documents relating to civil or commercial matters not sovereign. According to plaintiffs’ lawyer, Ken McCallion, the next step if Germany failed again to acknowledge to the summon the plaintiffs will initiate a “diplomatic service” on German government, whereby legal papers would be hand-delivered by the U.S. Embassy in Berlin to the German Foreign Ministry. At that point, it is expected that Germany will appoint counsel. Should again Germany not appear in court, plaintiffs can surely believe they have a sound basis for filing a motion for default. As for now the case is adjourned until 13 October to give Germany enough time to respond to the Plaintiffs claim that Germany has intentionally or deliberately excluded the Representatives of the Ovaherero-Nama communities from formal discussions which host by Namibian government in regarding the genocide and reparations. Though Germany has acknowledged the genocide due to the growing international pressure especially from Namibian diaspora and other resilient organizations who share sympathy with the Namibian communities specifically Ovahereros and Namas. A plaintiffs’ lawyer, Kenneth McCallion and the P. Chief Vekuii Rukoro address the media about German Genocide, New York. However, Germany representative who overseeing the merit in this regard,have said that even if settlement is awarded to Namibia, such payment will not include direct reparations to the ancestors of the victims themselves. German envoy Ruprecht Polenz insisted that it was right that the German government ruled out direct compensations even before negotiations were concluded. however the Paramount chief Vekuii Rukoro rejects this statement and the proposal made earlier by Namibian-Germany. His lawyer Kenneth McCallion told Reuters that his client was "concerned about a trickle-down theory of minor compensation or an increase in foreign aid to the Namibian government,which might not directly go to the victims and the descendants of the victims which are the indigenous communities themselves." Rukoro relayed this to DW. The constituents in previous negotiations and agenda were fraught with such perspectives from the start, he streed. German opposition member of parliament Niema Movassat of "Die Linke" (The Left) party said the lawsuit was the "consequence" of the German government's refusal to enter into direct negotiations with the Herero and Nama. "It is absurd to exclude a certain community from negotiations about a genocide that affected them. It is understandable that the people do not feel taken seriously. It also remains to be seen whether the US court will have the necessary jurisdiction to deal with the suit. The remains which was gathered for pseudo scientific experiments from German Suid Wes Afrika [Namibia] in the decades before the first world war still remain in a museum archive. The discovery of Namibian human remains in New York highlights the fact that the genocide of the Ovaherero and Nama peoples continues to have repercussions not only in Namibia, but in many places such as New York and the rest of the world.From 1904 - 1908 upwards about 100,000 Ovaherero and Nama died from murder, starvation and hard labors in concentration camps during Germany’s colonial occupation of Namibia. The extermination order issued by German General Lothar von Trotha on 02 October 1904 against the Ovaherero would lead these crimes to be deemed a genocide the first one of the 20th Century. Though many historians have deemed this horrific event as the “forgotten genocide,” but now the story has been coming to light in recent months, largely due to the New York court case. 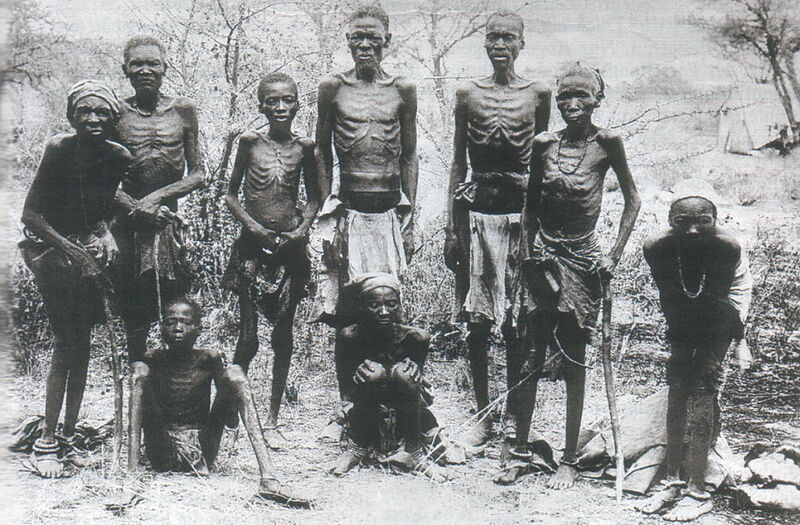 There is a question: How the remains of Namibian victims of German genocide end-up in United States? According to the source closer to the American Museum of Natural History (AMNH) narrated that the remains are believed to have reached New York City via the private collection of "Königliches Museum für Völkerkunde" in present-day it now called Ethnological Museum of Berlin that was owned by a German anthropologist, professor Felix von Luschan during 1886. Von Luschan was also member of the German Society for Racial Hygiene just like Eugen Fischer who devised a hierarchy of skin color. Along with the Namibian skulls, Luschan have acquired a large collection of Benin antiquities as well. After his death in 1924, his wife madam Emma von Hochstetter sold his private collection to the American Museum of Natural History, paid by American-German banker Moritz Warburg of kuhn loeb co bank.Those days the human specimen taken from inferior races so to say especially skulls and bones were much valuable in a possession far than a gold and diamond to the people who were overwhelmed and fascinated by the idea of suprematism and other racial notions. The Science and Tech weblog, is about science,technologies,esoterics and news with national interest and since the German genocide standoff has touches Namibian people, then this information is worth for sharing!